Think about Austria and most of us consider mountains, skiing, glacial lakes and rivers, perhaps Vienna, and most likely the Sound of Music. However, in Lower Austria we found a different Austria, not mountainous, a somewhat flatter landscape, but still delightfully picturesque. 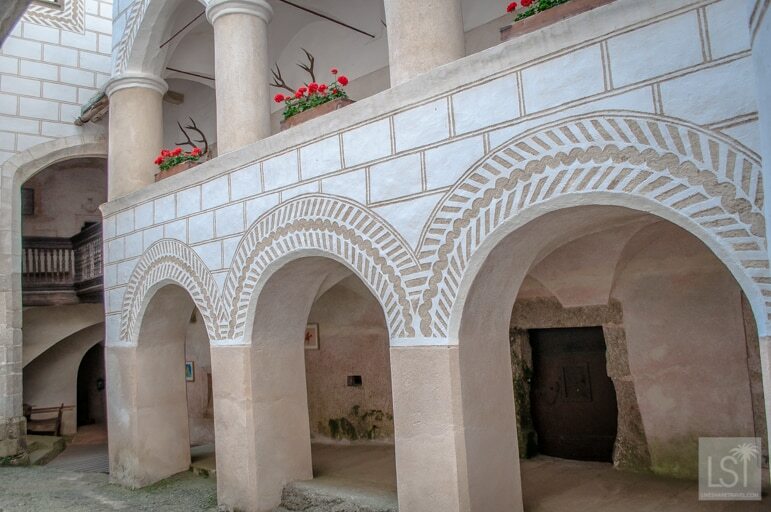 Waldviertel, located in the north of Lower Austria, was an interesting contrast. Still with rolling hills and gorgeous countryside but no alpine Goliaths. 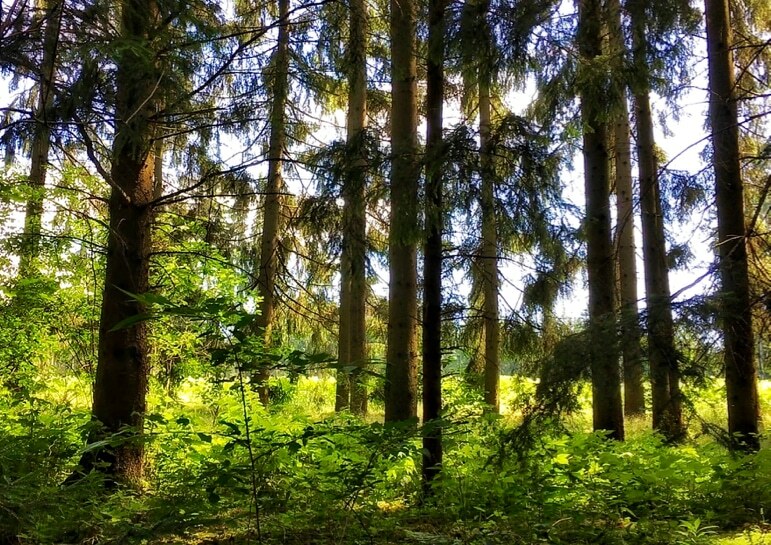 Waldviertel means wood quarter and endless forests of pine trees reveal it’s a name that fits like a glove. It’s a region where nature is at home. Just an hour or so away from Vienna, yet a million miles from the busy capital, Waldviertel is a landscape of granite hillsides. 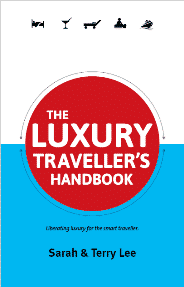 Carpeted with green forests, they give way to wildflowers, fields of poppies and idyllic little villages. Driving there via the Wachau Valley, Lower Austria’s so-called wine quarter where field upon field of vines lined our path it was fascinating to watch the landscape change as we passed from wine to woods in Waldviertel. 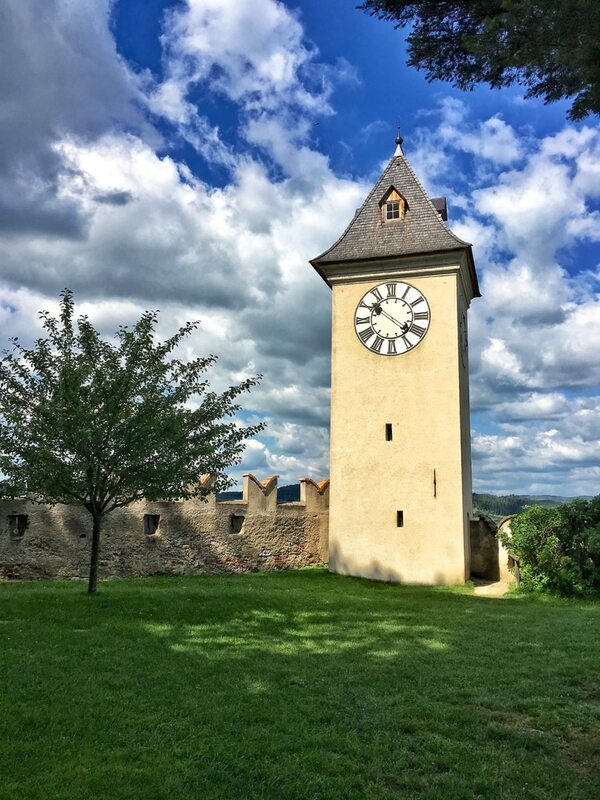 And visiting as we did in the height of summer, we were grateful that Waldviertel is a cooler part of Lower Austria – it’s granite hillsides gripping the cooler air refreshing our spirits and brows. 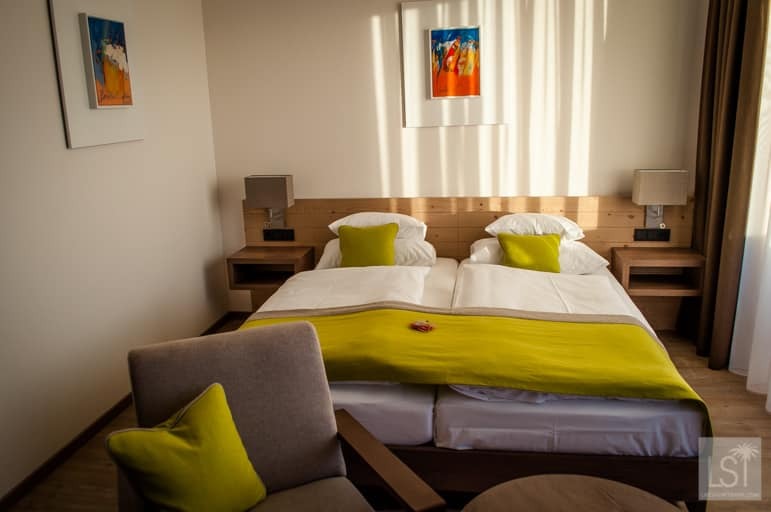 We found that Waldviertel is packed with fabulous things to do, sites to visit and places in which to relax. 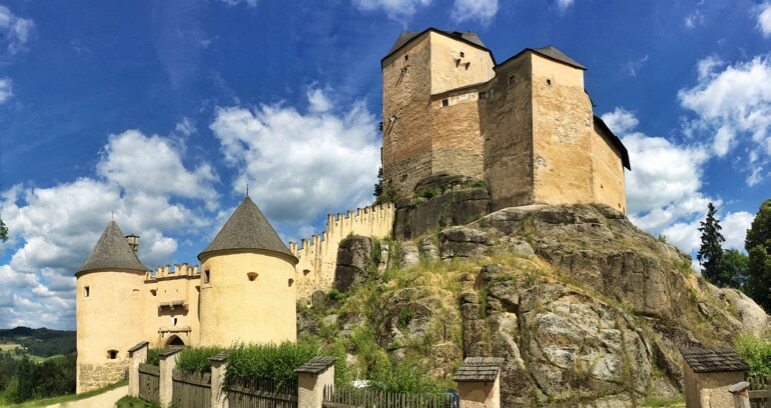 We started our exploration at Burg Rappottenstein, which we discovered is one of the best chances you will have to walk through history. 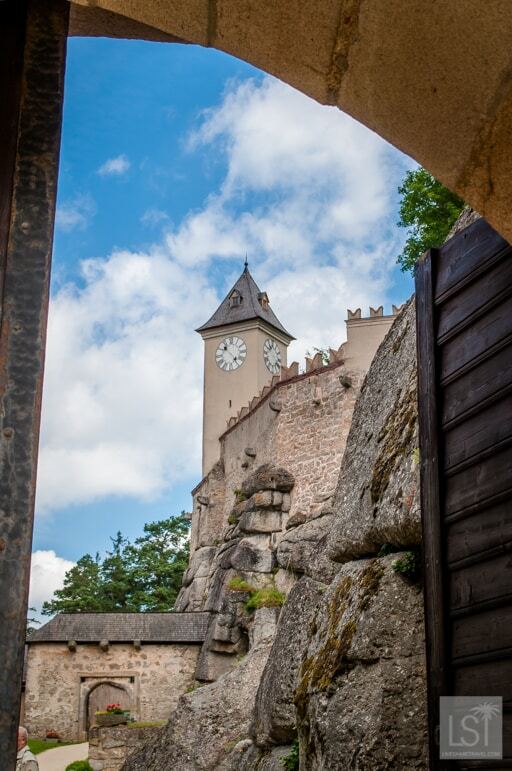 This imposing castle is so magnificently preserved that it is easy to imagine yourself back in the 12th century, it is a truly rare find. 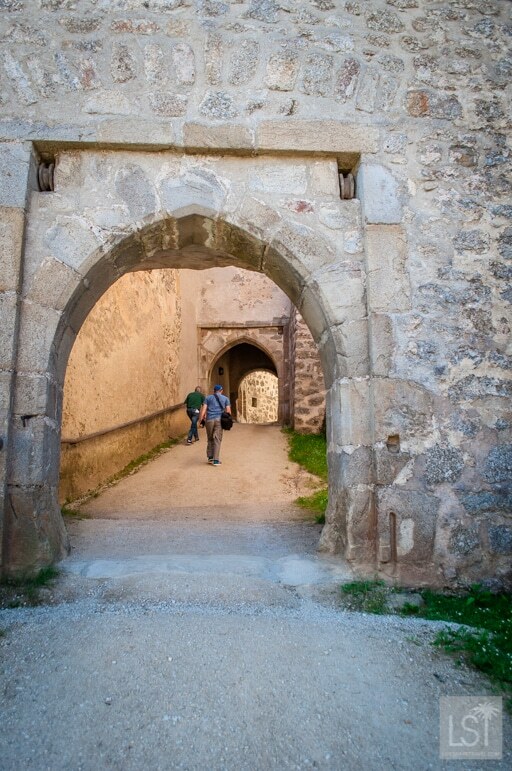 Constructed in 1157 it has never been conquered so remains unspoilt and largely as it was when built. 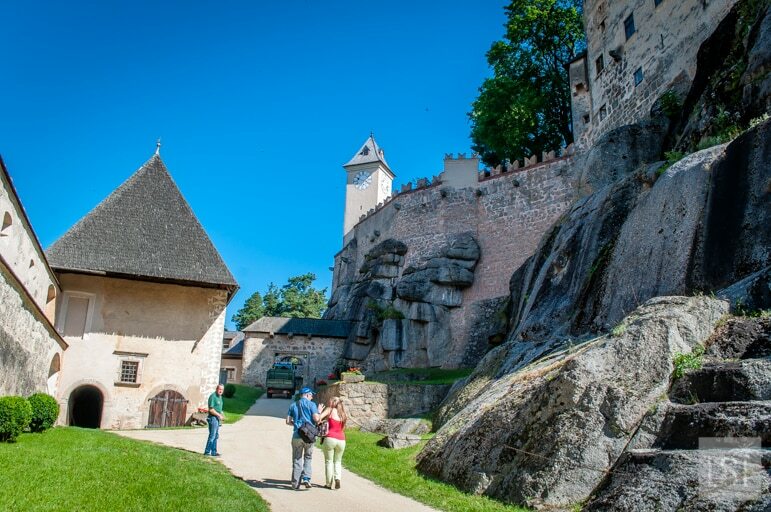 As Rappottenstein was built on a dense mound of solid granite it has helped to keep it safe from attack and isolated from the ravages that nature brings over such long periods. 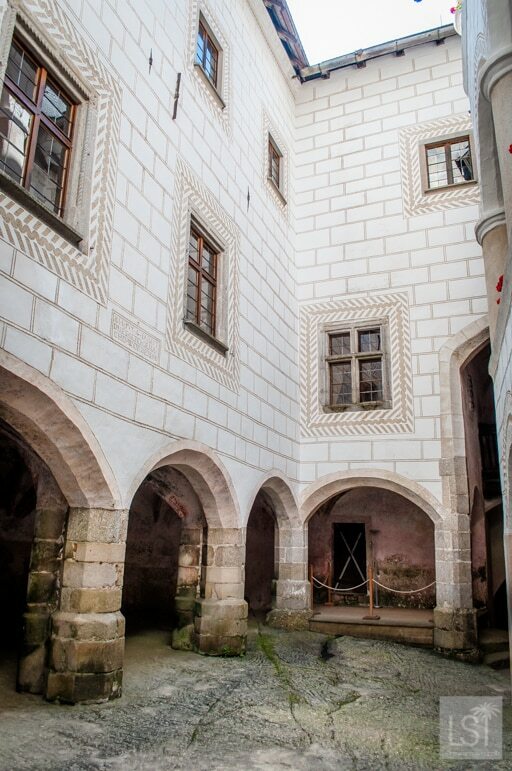 It has a gothic style and in parts displays renaissance features such as an inner court added in the 16th century. 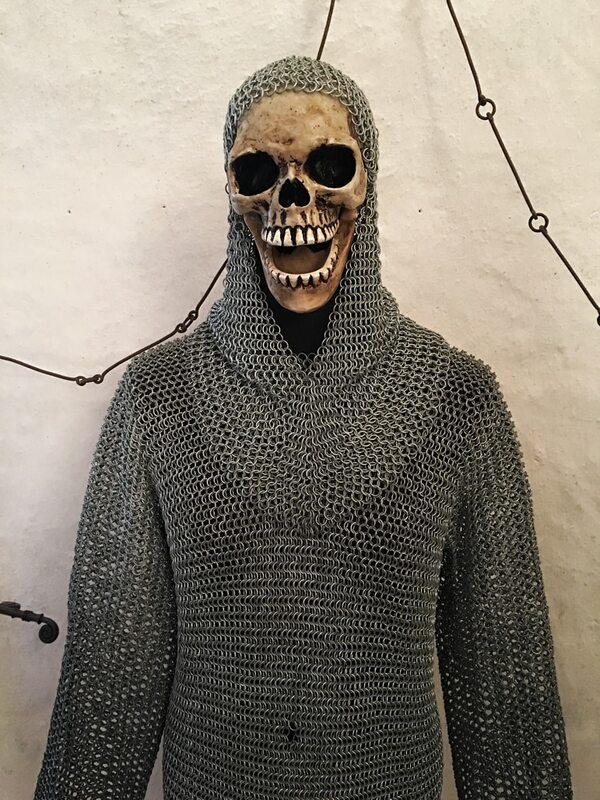 Thankfully, our guide Alfred Hahn was a mine of information, and his knowledge bought the castle to life. 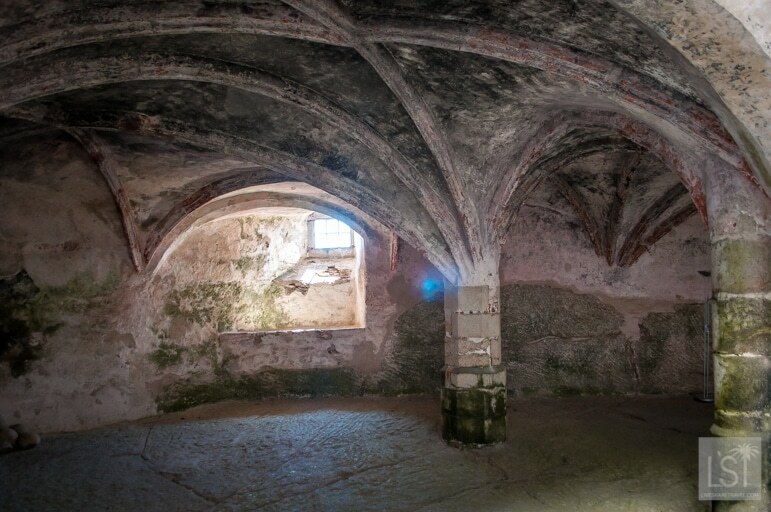 The castle has six courts, a delightful dining room for the nobility, a parlour for drinking, an open kitchen, a chapel with an altar dating from 1450, dark, dank dungeons that you really wouldn’t want to be thrown into, an armoury with a chilling assortment of weapons, and in one of the bedrooms there is a 400-year-old wardrobe. 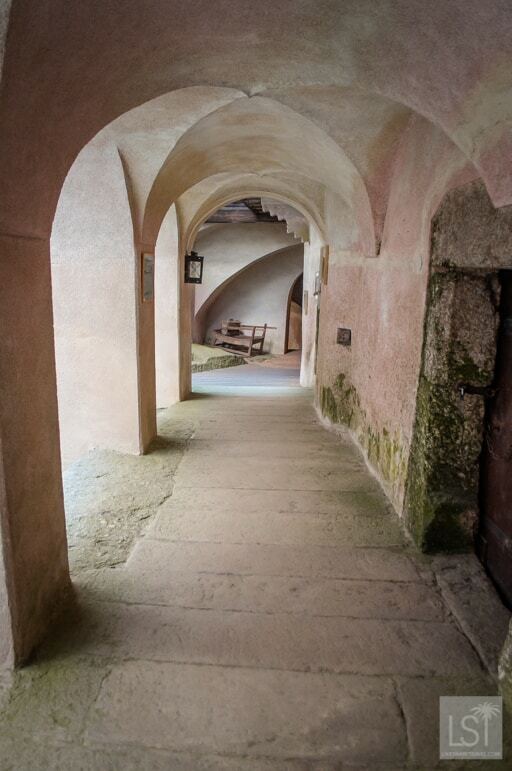 Burg Rapporttenstein also has a collection of delightful 16th century frescos that were carefully restored in 1956. 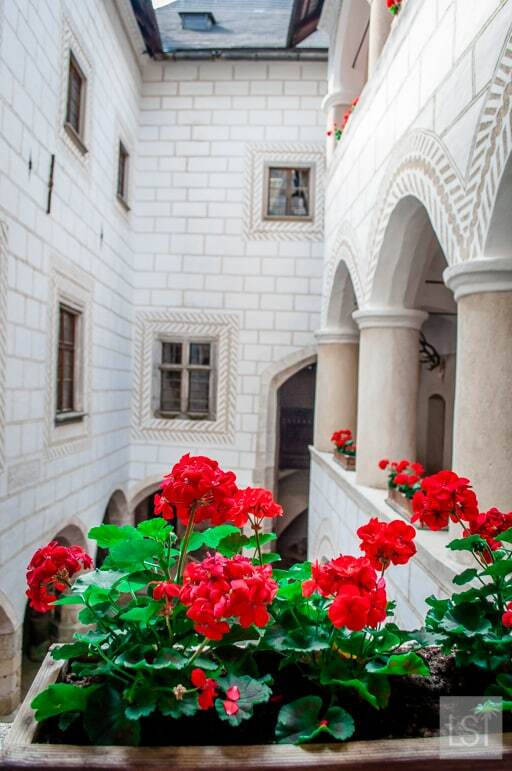 It was a great place to breathe in the history of the region. As we drove across Waldviertel we’d occasionally become distracted. The fields of green suddenly flashing red, pink and white in the distance. It took a little while to figure out these patches that danced across the landscape. But then we found ourselves in the village of Armschlag. Twenty-five years ago Armschlag, was suffering from rural deprivation – the kind that strikes villages around the world. There was no work, young people were leaving for a life in city and the future looked bleak. That is until villagers decided to harness the nature around them and Armschlag transformed itself, and its fortunes, into Mohndorf, or Poppy Village. 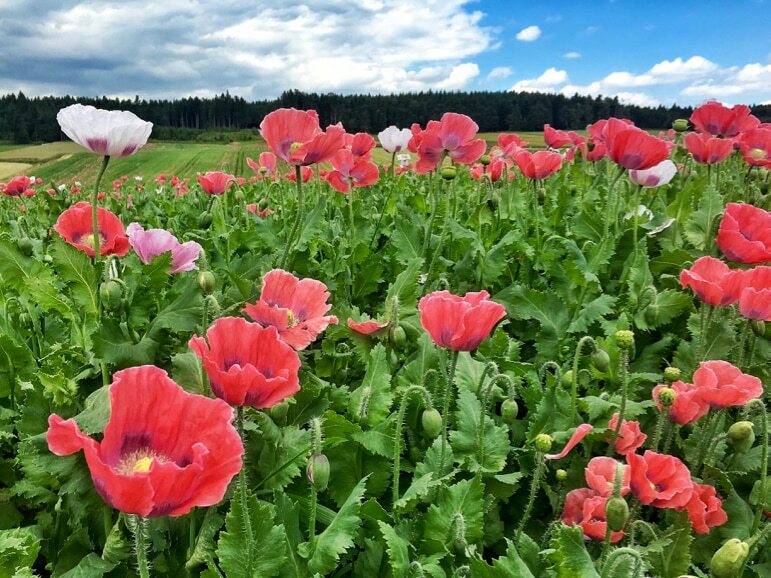 Today, 100 people live here and 80% of them work in one way or another within the poppy business, harvesting the poppies that spread shimmers of colour and joy across Waldviertel’s fields. 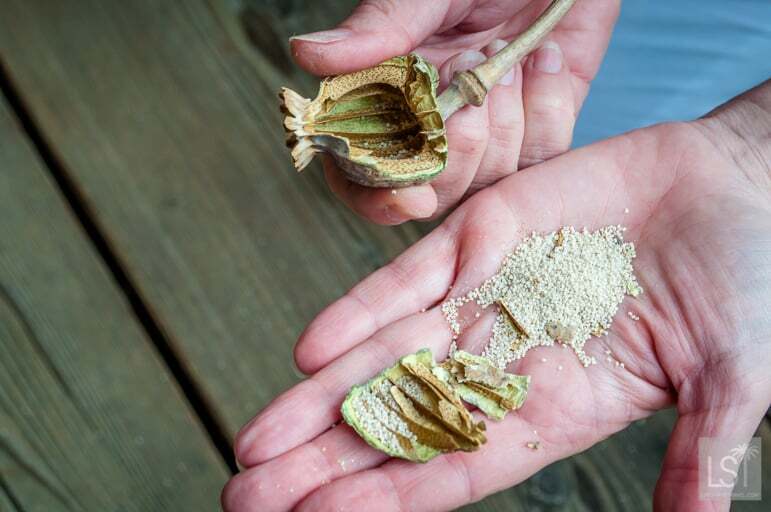 The poppies have grey seeds, and it is these seeds, which have become the village’s new gold. We visited in early July when the 1,000 acres of poppy fields were in full, glorious bloom, their flowers dancing on the gentle breeze. 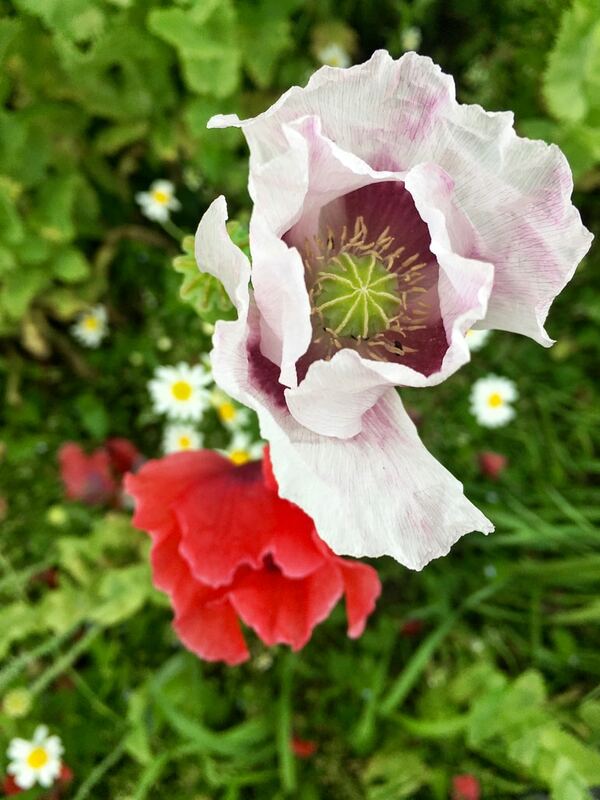 And I couldn’t blame them for bouncing, twisting and turning before the sun’s magnificent glow – each poppy has just one day in the sun – blooming and dying away in 24 short hours. 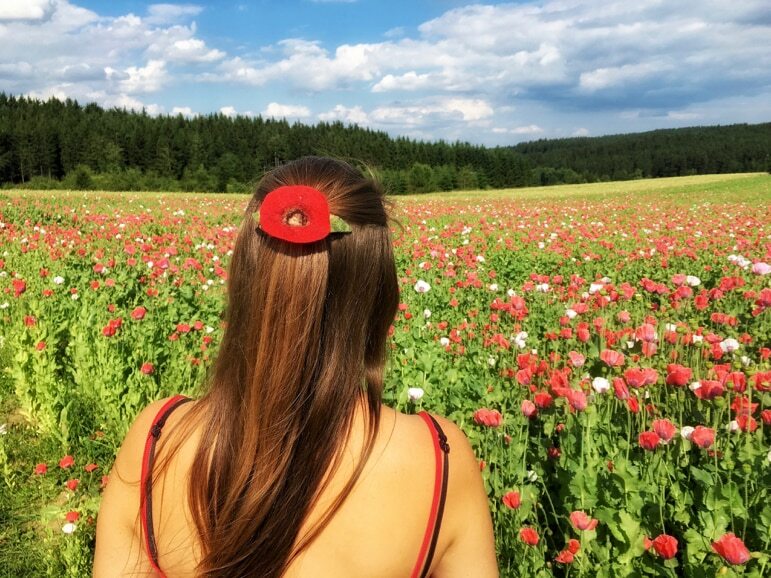 Every year over 30,000 people visit the poppy village, which has a shop with an astonishing range of poppy-based products, from ice cream to body lotion, honey to shampoo. 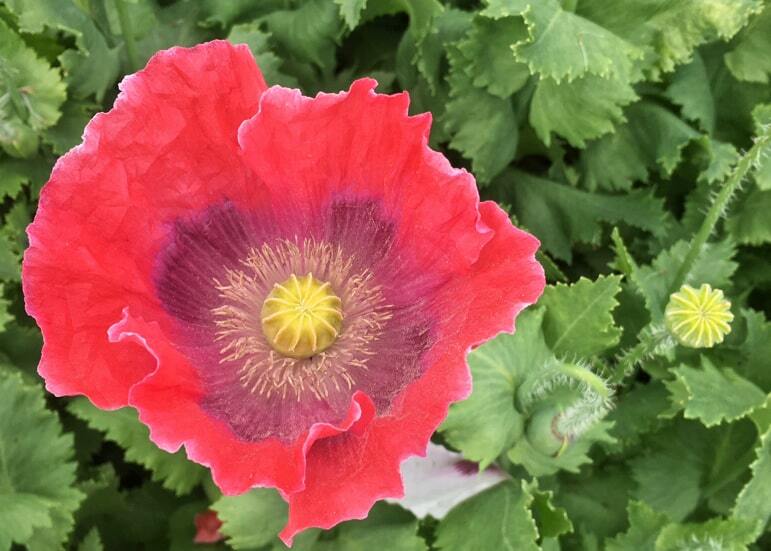 If you get peckish during your visit to Mohndorf there is restaurant serving an array of poppy-filled dishes. 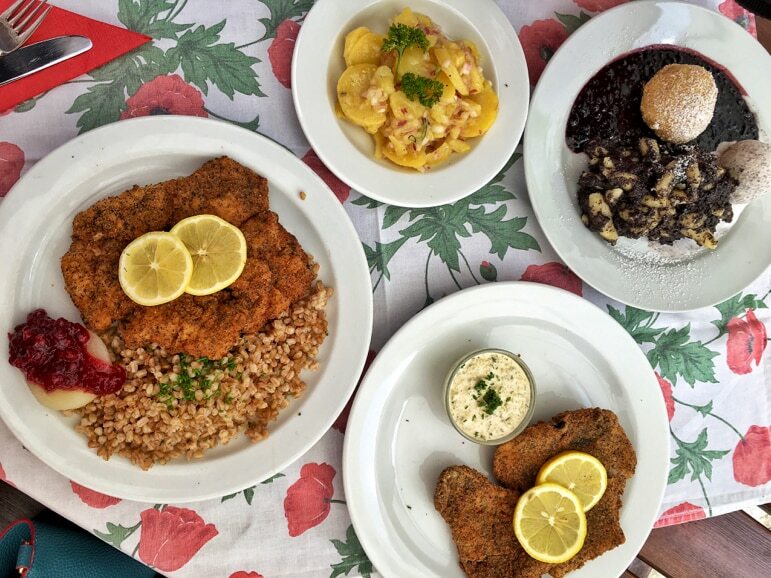 We had a lovely lunch there; my fish was cooked with a crunchy poppy-seed crust and Sarah’s schnitzel had a poppy seed crumb. The menu was full of poppies including dumplings, breads, cakes and even drinks featuring the dark seeds. 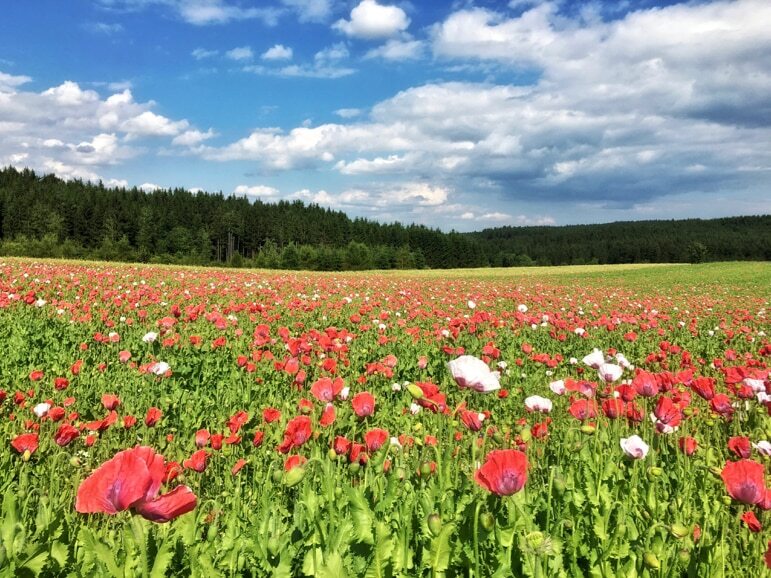 But the poppies weren’t Waldviertel’s only treat. 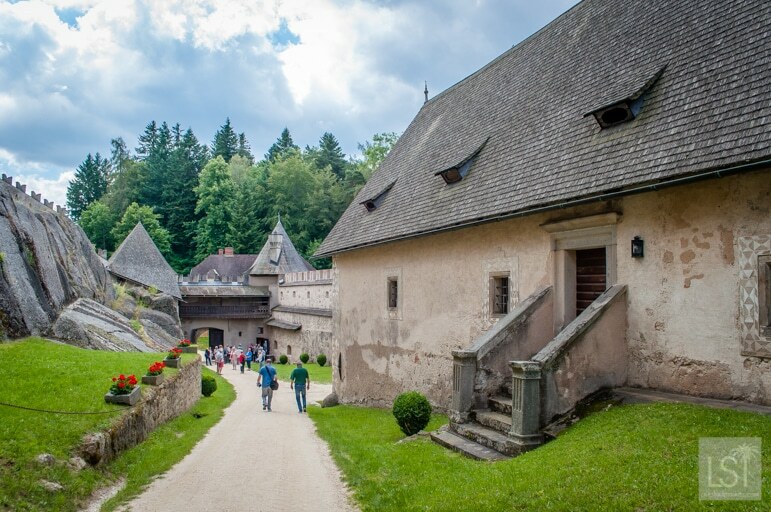 We would never have considered Austria a whisky-producing nation, but Waldviertel provided a major surprise. Waldviertler Whisky J.H is great example of innovative thinking. The town of Roggenreith is an area that has grown rye for centuries, much of which used to go to waste. 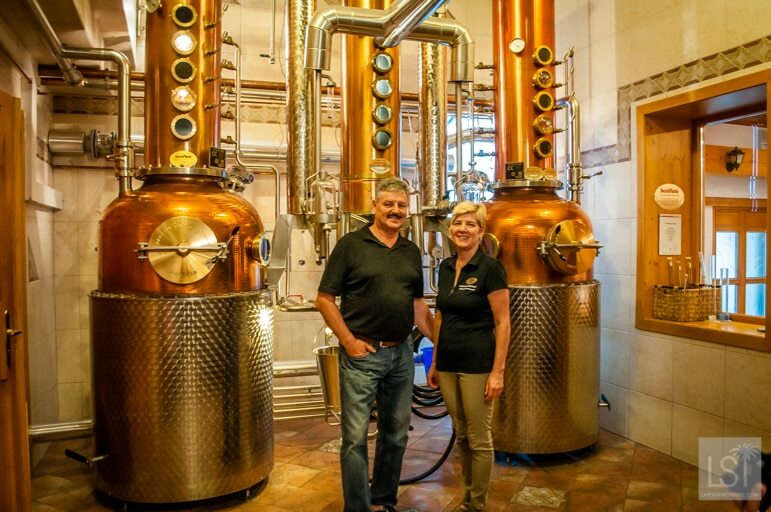 But 21 years ago the local Haider family started Austria’s first whisky distillery. 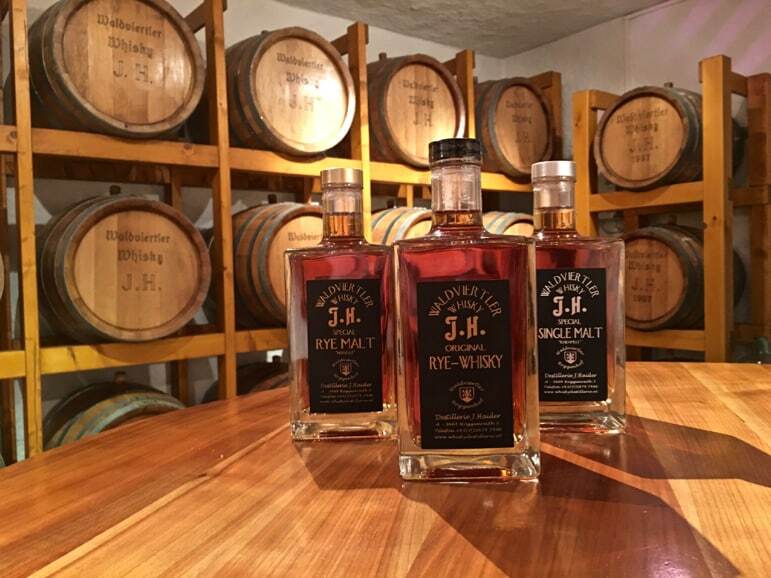 Today it is the proud distiller of Waldviertler Whisky J.H, which is sold around the world. You can visit the distillery in Roggenreith, at Whisky Experience World, along with the 70,000 people that do each year. Pretty impressive when the village has a population of just 70. At the distillery the owners Johann and Monika Haider showed us around themselves. We were given the full history of how it came about and shown the production process. They have a range of whiskies, all are lovingly produced by members of the family. At the end of our visit we sampled a couple of drams. And they all tasted pretty good too. 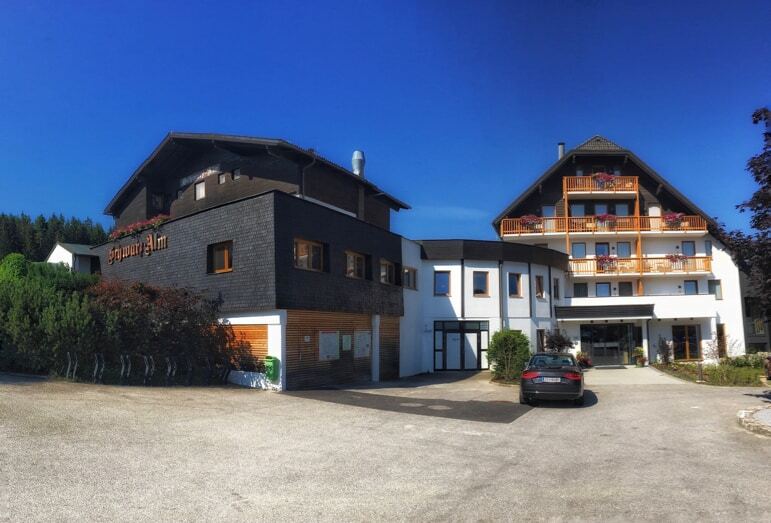 While in Waldviertel we stayed at the Hotel Schwarz Alm Zwettl, which complemented our visit perfectly. a long, winding drive a long way off the main road puts it a very tranquil location. With only 48 rooms it is a peaceful retreat. But this doesn’t mean it doesn’t have its fun quirks. 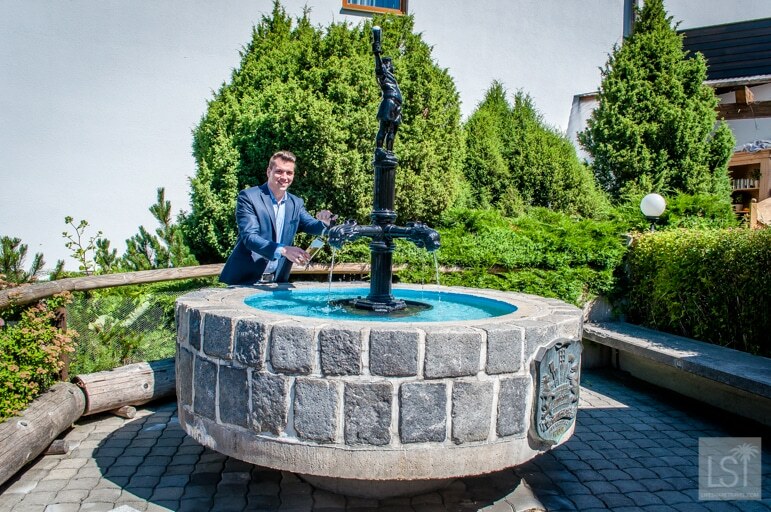 The hotel is owned by Zwettler, the local brewing family, and so on its terrace you’ll find a stand-alone beer fountain, the first we’d ever seen so we had to give it a try. And the verdict? A very good beer. 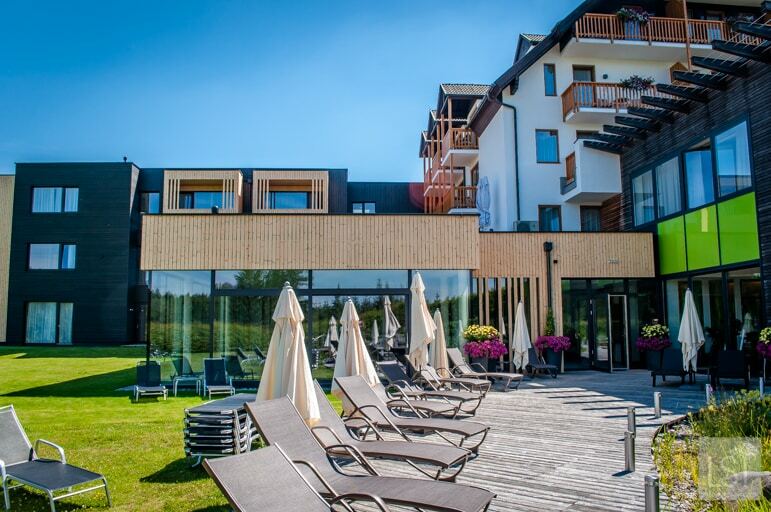 We have a penchant for a good spa and were fortunate as the Schwarz Alm Zwettl has just refurbished and upgraded the whole hotel, including the spa. Their new Alm-Spa area has steam rooms, saunas, an impressive relaxation room, an indoor swimming pool and there’s a small, natural lake for swimming in outside. I took a quick plunge and even though it was a hot summer’s day it was a bit too chilly for me. Upstairs above the pools and saunas are the treatment rooms and we both had relaxing massages, which left us feeling rather sleepy. There is also a gym if you feel motivated; we didn’t, so we had had a more sedate stay. 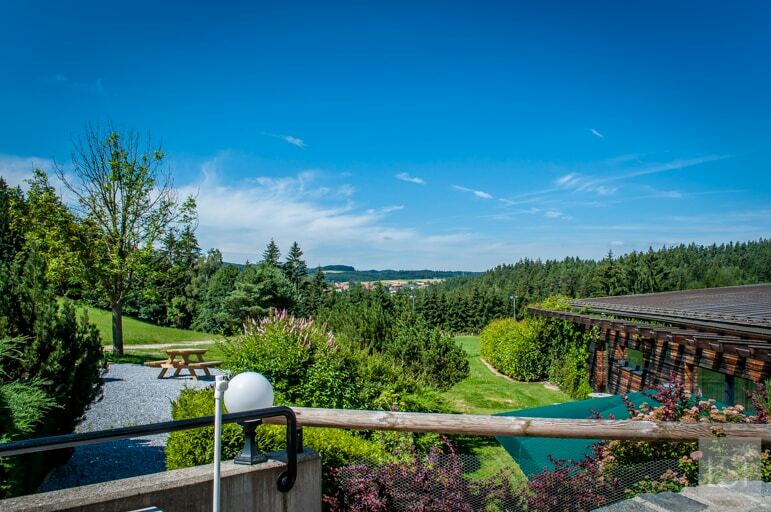 The area around the Hotel Schwarz Alm Zwettl is also renowned for the quality of its walking and we saw a number of hardy souls wandering the countryside. 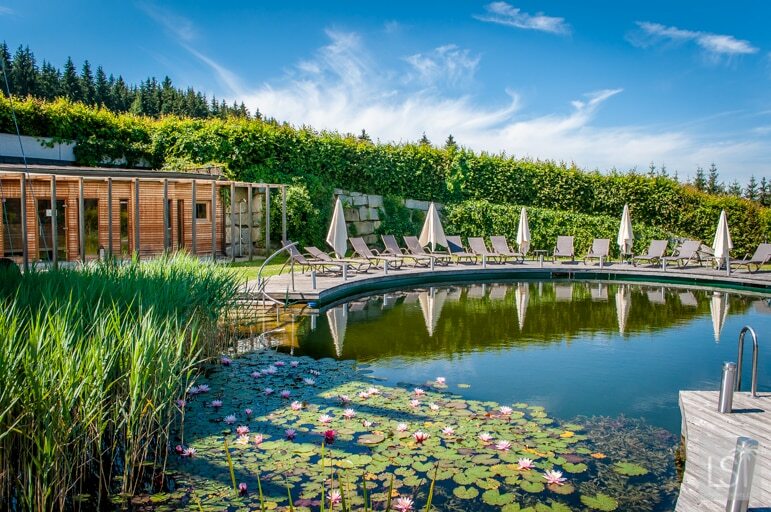 The whole spa area had a serene feel, and due to its outdoor area it maintained the connectedness we felt to Waldviertel’s nature. The hotel and spa blended perfectly with the whole region. 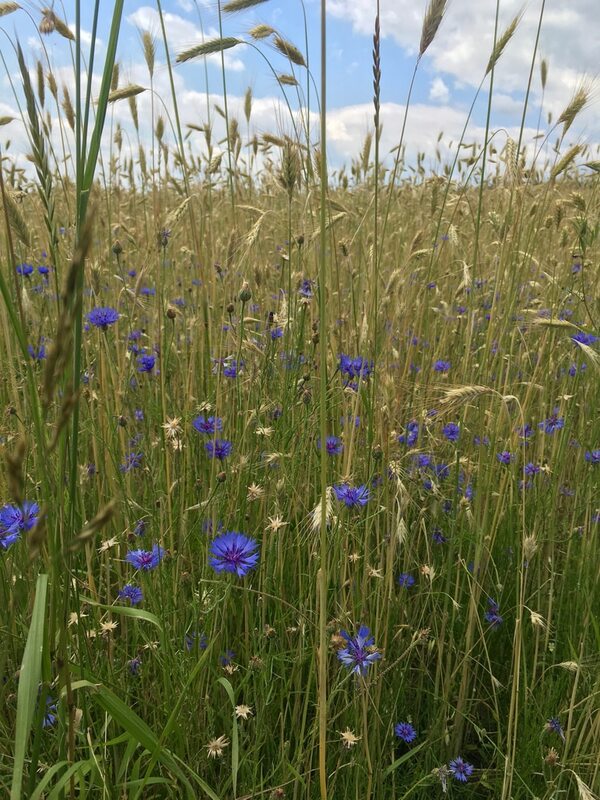 Waldviertel is about nature and good living. 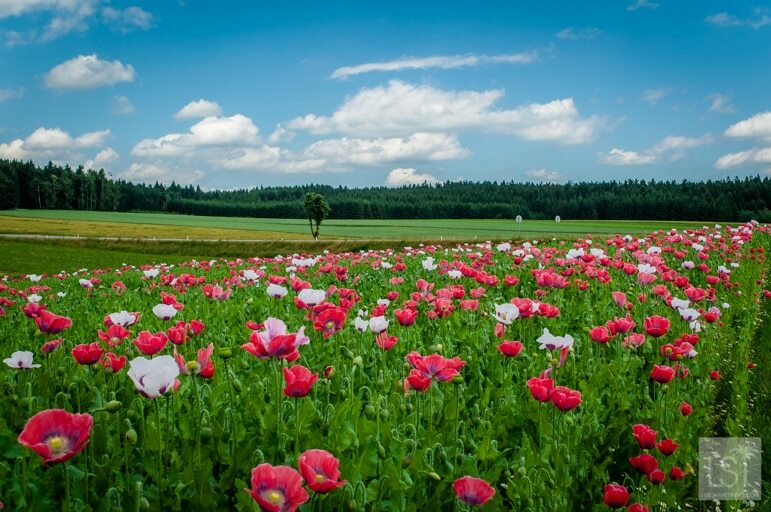 It has an interesting history, mild climate, and landscape of forests, granite hills, fields of rye, beautiful wild flowers, and colourful omnipresent poppies. Waldviertel was a very relaxed and peaceful place, I’d even say calming. It has vast expanses of countryside, very little traffic, few people. Instead that’s replaced by the endless quiet that such seclusion brings. 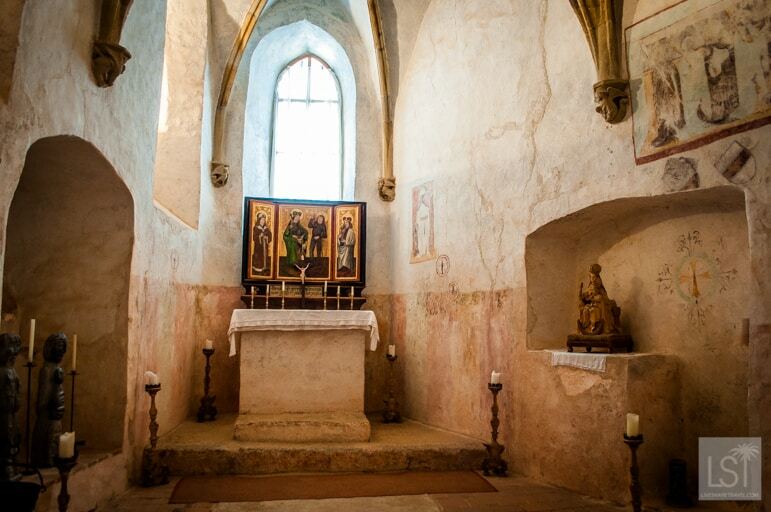 Waldviertel is solitude, it is tranquility. 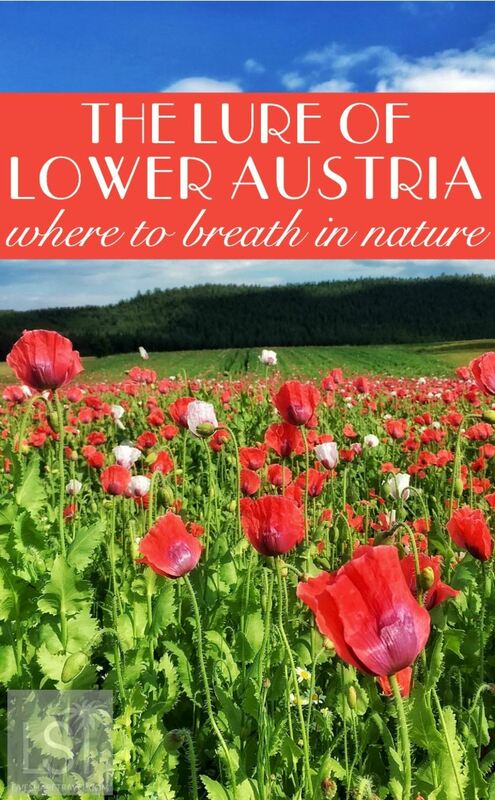 It’s the perfect antidote to Vienna – a place in which to breathe in nature.